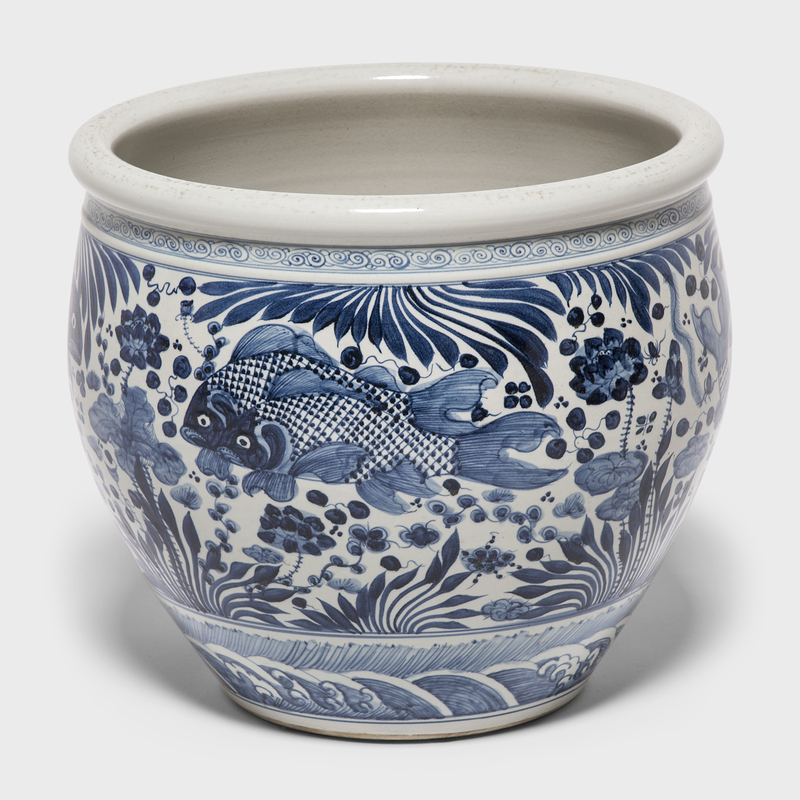 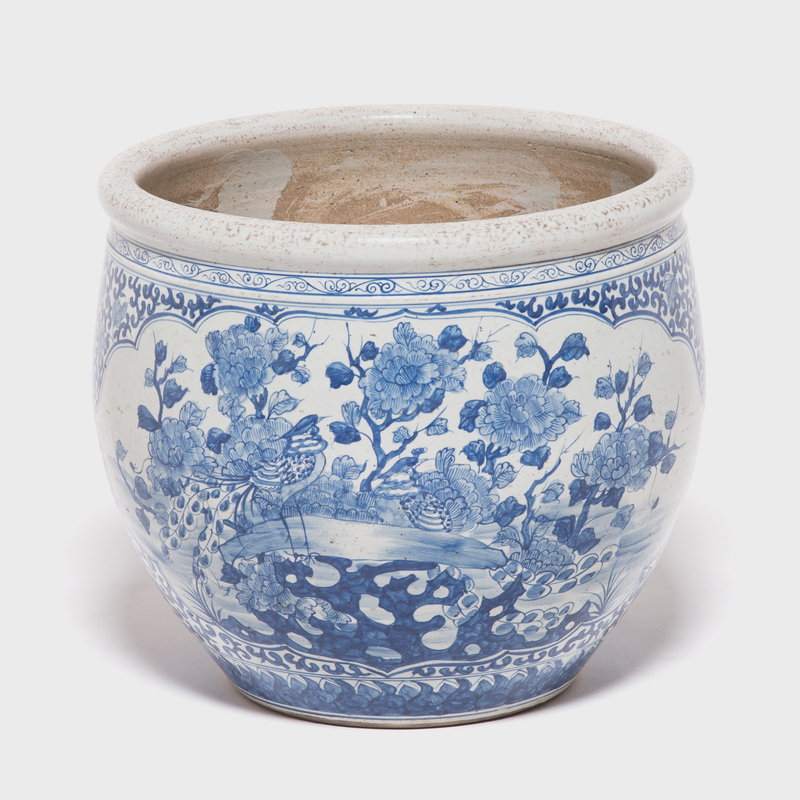 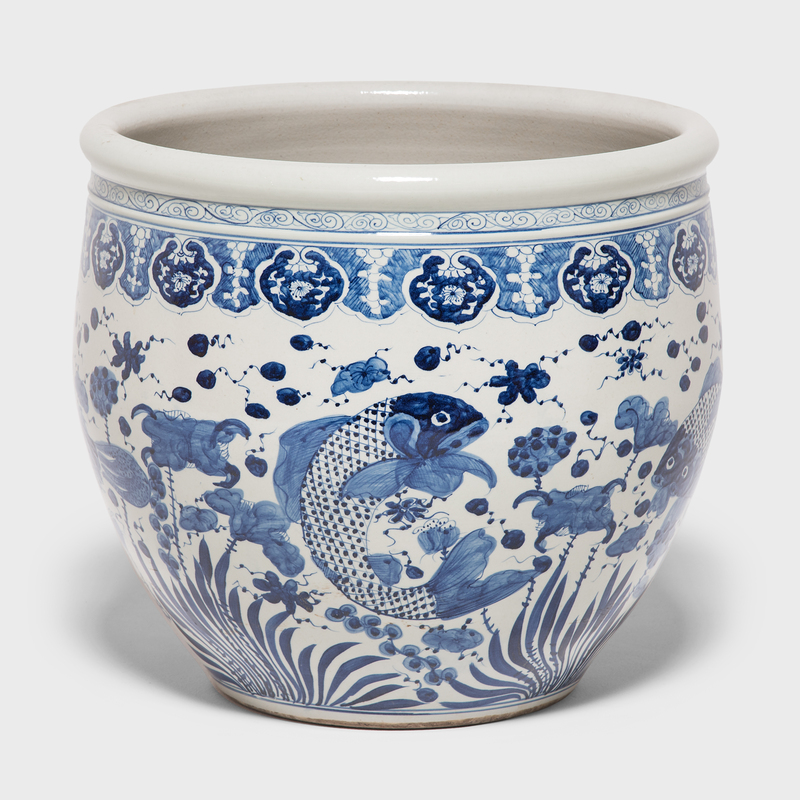 This grand, blue-and-white porcelain bowl is hand-painted with flora and fauna of the sea, offering blessings of wealth, abundance, and the contented harmony of a fish in water. 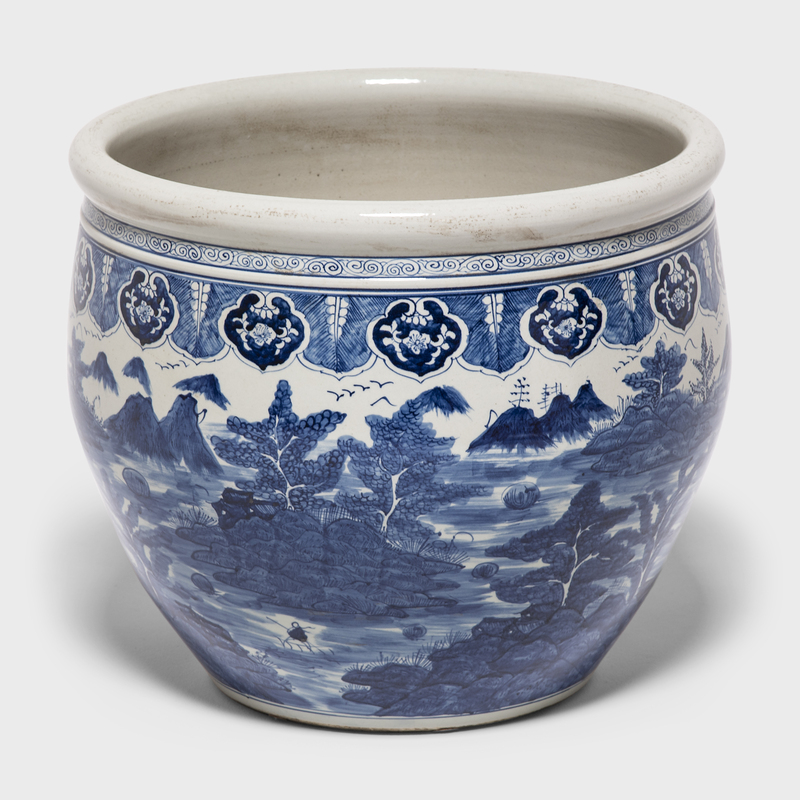 Chinese blue-and-white ceramics have inspired ceramists worldwide since cobalt was first introduced to China from the Middle East thousands of years ago. 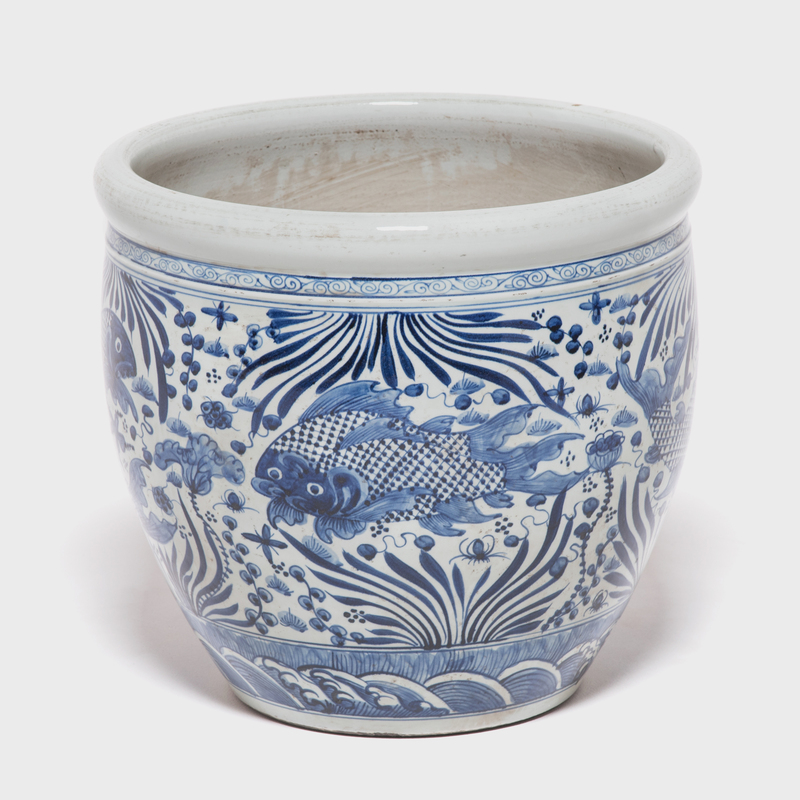 Bowls of this scale are perfect as fish ponds, planters, and decorative objects.